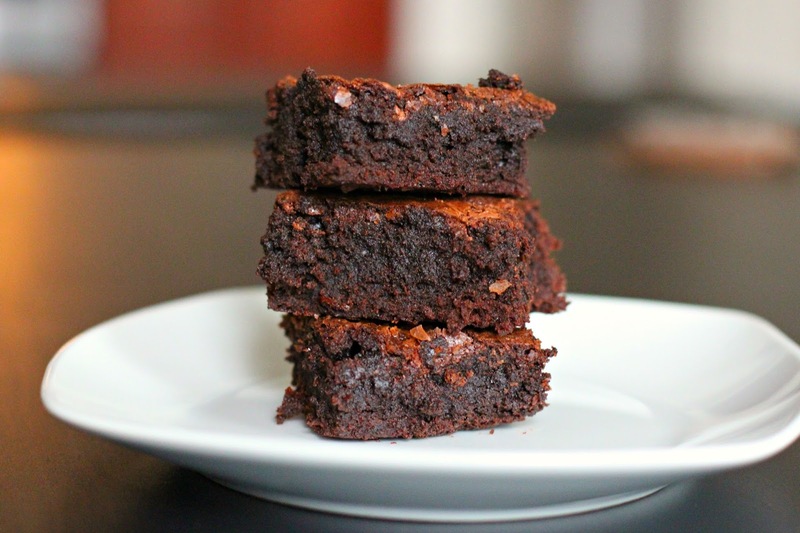 As if brownies aren't perfect on their own, there is a way to make them even better: Nutella. I mean, doesn't Nutella make just about everything better? Let's see...wheat toast? Add Nutella! Animal crackers? Add Nutella! Empty spoon? Add Nutella! See how that works? These are super moist and super fudgey, but the Nutella flavor isn't over powering. I added a bit more at the end and swirled it through the batter since I did want to taste the flavor. If you want to get real silly with it, smooth some on the warm brownies right of the oven! 1. Heat oven to 350. Grease a 9x13 baking dish. 2. In a small saucepan over low heat, melt the butter. Stir in the sugar and cook an additional 1-2 minutes. Don't boil! 3. Remove from heat and stir in the 1/2 cup of Nutella. Pour mixture into a large bowl and beat in the cocoa powder, eggs, salt, baking powder, and vanilla. 4, Stir in the flour and chocolate chips until combined. Spread into your pan. Now, take the 3 tablespoons of Nutella and sporadically swirl it trough the top.